Pistachios are very special, as far as nuts go– in fact, they might even be considered the most “royal” of all nuts. 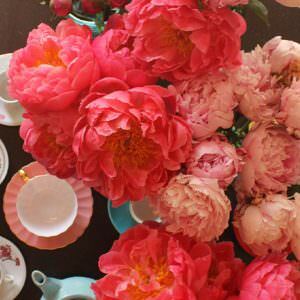 They were first cultivated 3,000 years ago in ancient Persia, where they flourished in the arid and semi-arid high desert climate. They were once considered food for the wealthy. 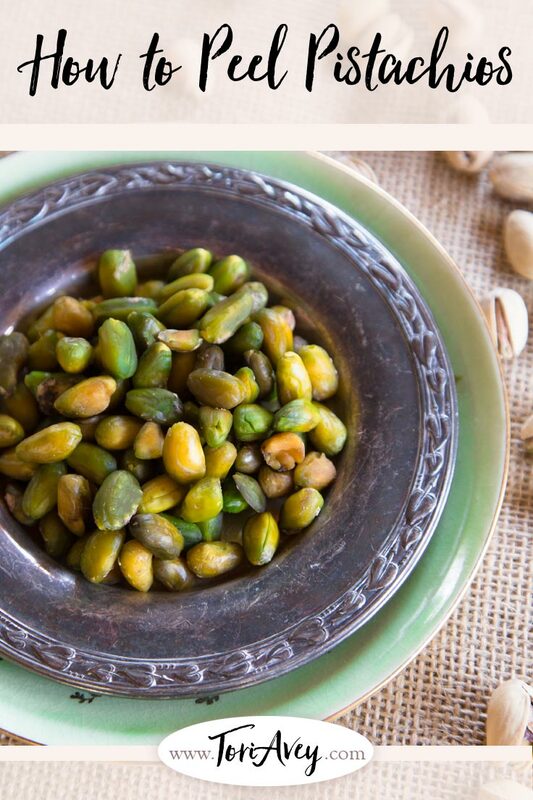 According to an oft-repeated legend, the Queen of Sheba is said to have confiscated all deliveries of fine pistachios so that she could keep them for herself and her royal court. There’s also an old adage that tells of lovers meeting beneath pistachio trees in the moonlight. If they were fortunate enough to hear the nuts cracking, they considered it a sign of future happiness. 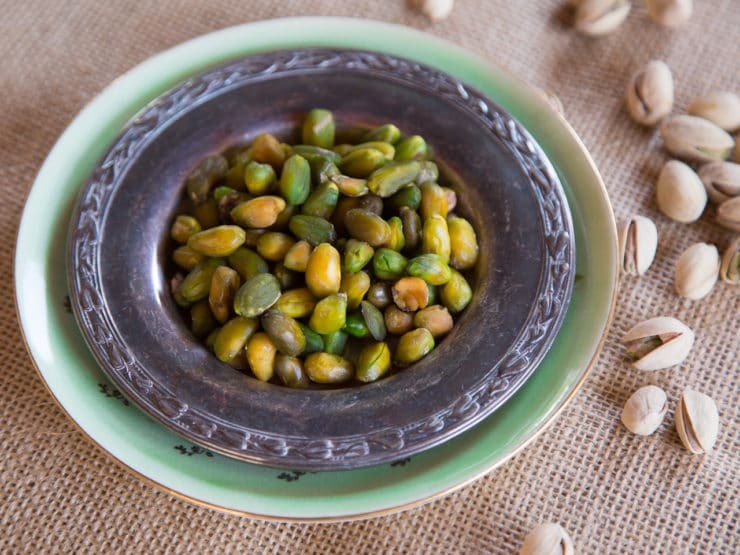 I particularly love the significance of pistachios in Iranian homes, where a cup is always ready to share with family and friends. 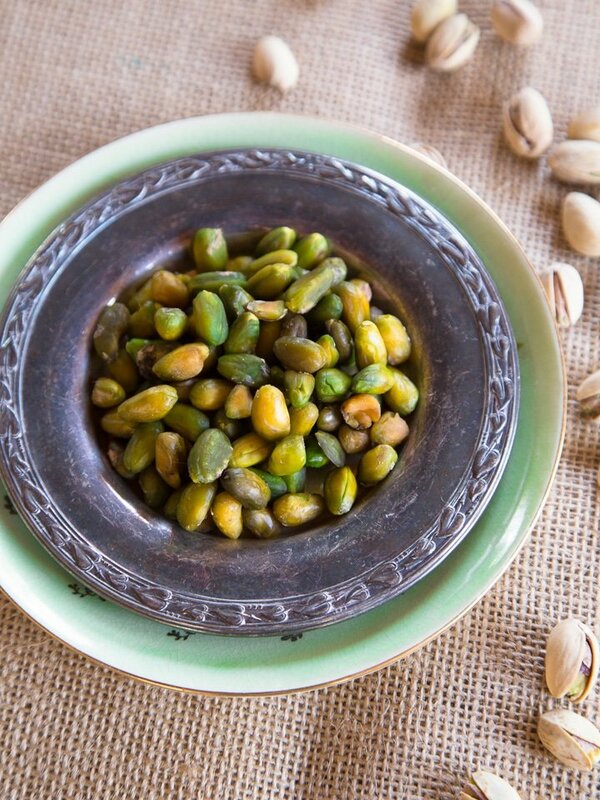 Once shelled, pistachios have a thin skin on the nut that sometimes needs to be removed for the purposes of a recipe. 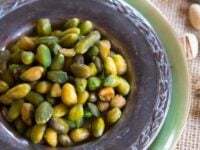 The skin is perfectly edible, but it can mar the texture of pureed pistachios, and it can take away from the nut’s lovely, distinctive green color. Luckily, removing the skin is a simple (if somewhat time consuming) process. I’ve managed to pare it down to a fairly simple procedure, which I’ve outlined below with step-by-step photos. 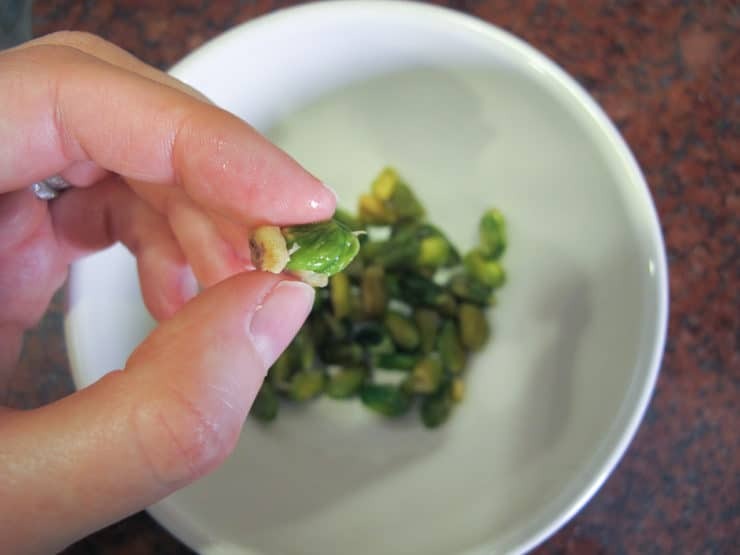 Step by step tutorial for peeling fresh pistachios and revealing their distinctive green color. Improve the texture and color of recipes that include pistachios. Bring a pot of water to a boil. Use twice the amount of water as nuts - for example, if you have 1 cup of nuts, boil 2 cups of water. 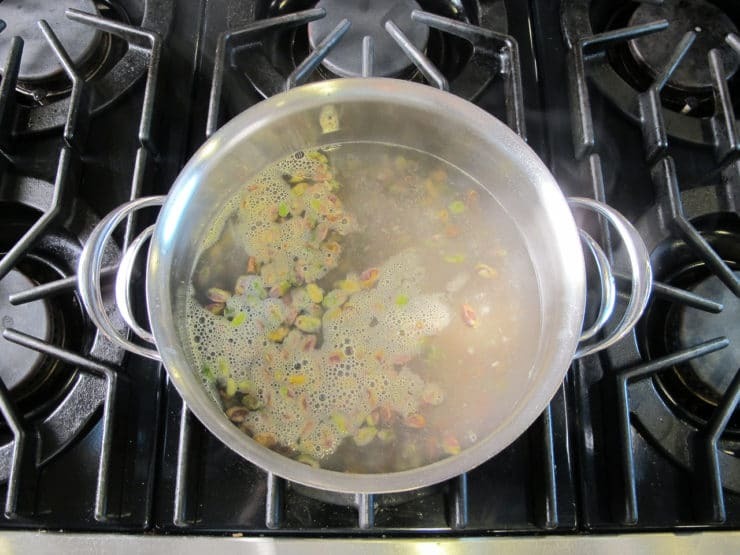 Add the pistachios to the boiling water and remove from heat. Let stand for 3-4 minutes. 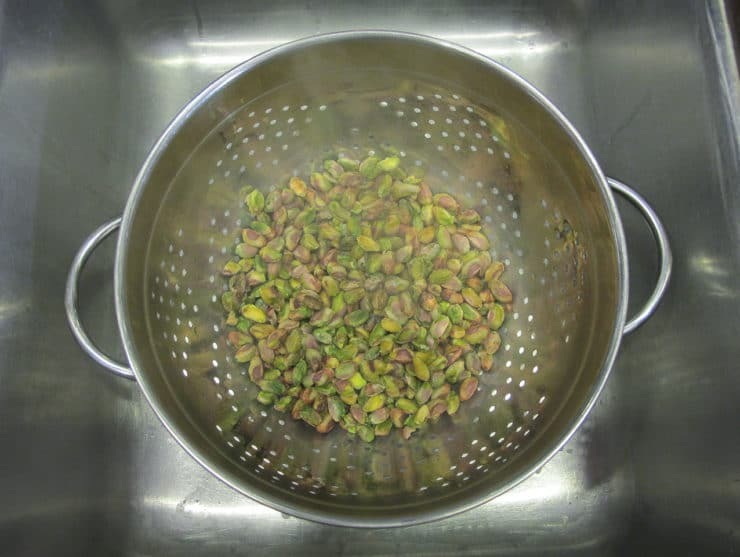 Drain the pistachio nuts and rinse with cold water. 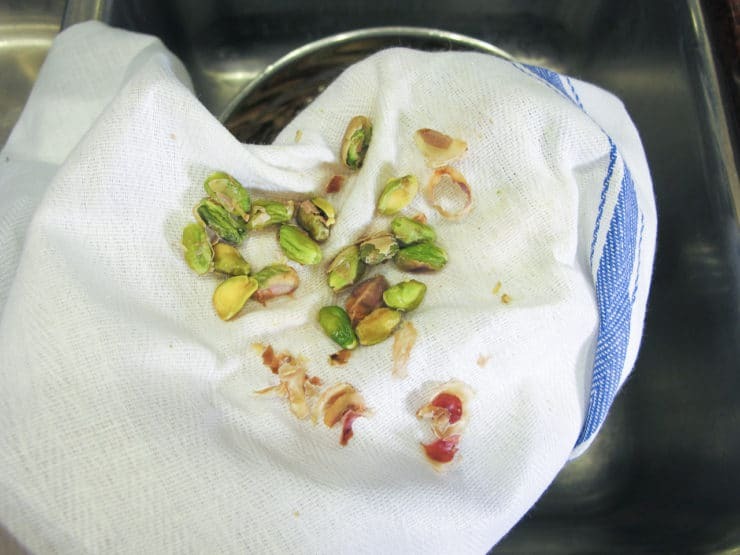 Place the pistachio nuts in small batches, a handful at a time, in the middle of a clean white kitchen towel (towels with a rougher surface work best). Rub the nuts vigorously within the towel to loosen the skins. Many will come off. A few papery skins will remain. Place the nuts in a bowl. For any nuts with skin that remains intact, gently squeeze the skin until the nut is released. Discard the skins. Once skinned, the pistachios will be damp. This may or may not be helpful for your particular recipe. If cutting the pistachios into slivers or quarters, it is easiest to do them right away while still moist. If using in a recipe, generally you will want a dry nut. Spread them out on a lint-free towel and let them dry out thoroughly before using. Hi, Tori. I was searching the web to find any info regarding pistachio skin. I mean the outer skin that covers the shell not the inner skin that wraps around the kernel. Is it edible? Is it an ingredient for any traditional medicine? Hi Mario, that’s a good question– I’m not really sure! Thank you; that works really well to remove the pistachio skins. I used kitchen towel to pop out the skins too, which was much more comfortable then just my fingers. I blitzed them into a paste whilst still damp, to use like butter in my version of bread & butter pudding: brioche-bread-and-pistachio-paste-pudding. It’s sublime! Thank you for making it easier. 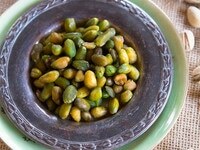 I’m contemplating substituting and using pistachios instead of chick peas in an Egyptian soup. It’s basically chick peas, onion, garlic, tomato, salt, chilies and carrot. The star of the soup is, of course the chick peas. Any suggestions? Or should I just substitute and that’s it? Hi Abdallah, Tori’s assistant Ashley here. While it certainly sounds interesting, I’m not sure how the results would be since chickpeas and pistachios have quite a different texture. If you decide to try it we’d be interesting in hearing how it turns out! Much prefer your chicken and gluten free Matzo balls as a coeliac. Had no chance to say so on website for same. Has made my diet much more interesting as Matzo balls can be used in so many ways. Yay to the Ashkenazi Jewish diet. So, Tori, we tweaked this recipe a bit, using coconut flakes and rehydrating them, salted,roasted and shelled pistachio nuts, vanilla not rosewater and we also doubled the recipe. 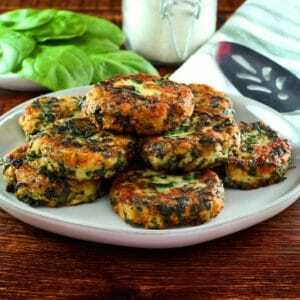 All in all, I’d love to try this with your exact recipe but with Passover, some ingredients were not available. It made 37 macaroons, but I think we could have made them a bit smaller as well. Anyway, they are still delicious and cannot wait to serve them at our Seder! Hi June, I have not tried this recipe with roasted salted pistachios. I’m just not sure of two things – 1) if the roasted pistachios will skin easily, and 2) if the salty flavor will go away when they’re skinned. They will also have less moisture than raw, which means the macaroons may not hold together as well. It may all turn out fine, but since I haven’t tested this myself unfortunately I can’t give you much advice, beyond giving it a try. I’ll say that if you are able to skin them easily, then taste them to make sure most or all of the salty flavor is gone after skinning them. If yes, then they’ll probably work in the macaroons. You may need to add an extra egg white if the mixture isn’t binding together properly due to lack of moisture. Good luck! Will this recipe not work with roasted salted shelled pistachios? What would it be like, wrong in taste, presentation or just would not work! I need an answer quickly as I bought the wrong nuts! Thanks! Well, which recipe are you using the pistachios in? This is just a preparation method, not a recipe per se. i did not eat my first pistachio until I was around 55…amazing how good they are! I have never seen raw pistachios. Where can you find them? 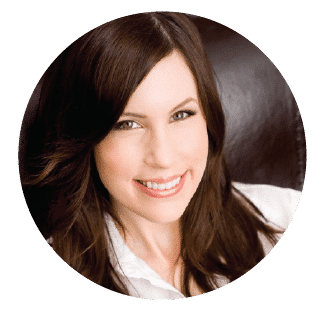 Hi Stephanie, try the bulk aisle of a health food store like Whole Foods. Trader Joe’s usually carries them, too.